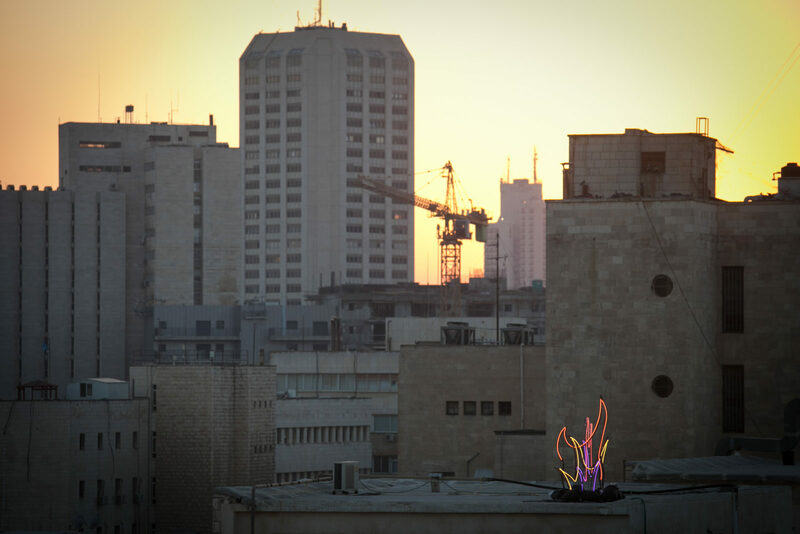 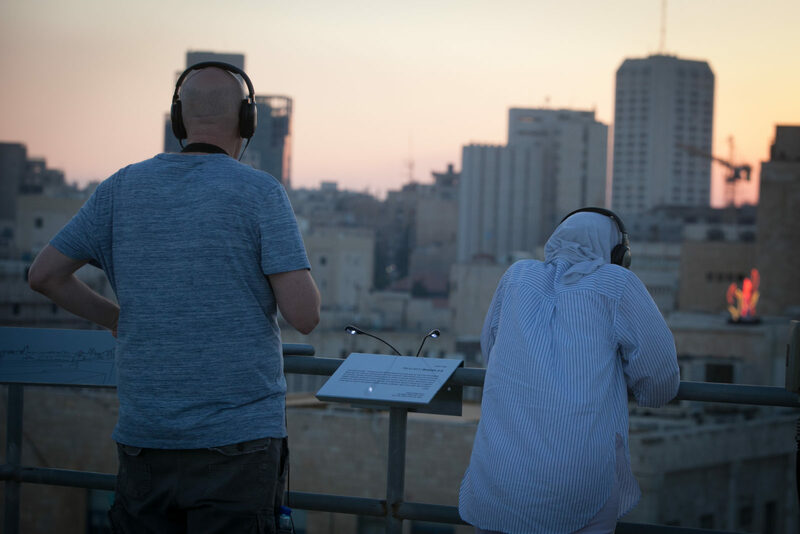 Beacon 2.0 is a neon-sound installation commissioned by Mekudesht Festival for contemporary Art and Music, Jerusalem. 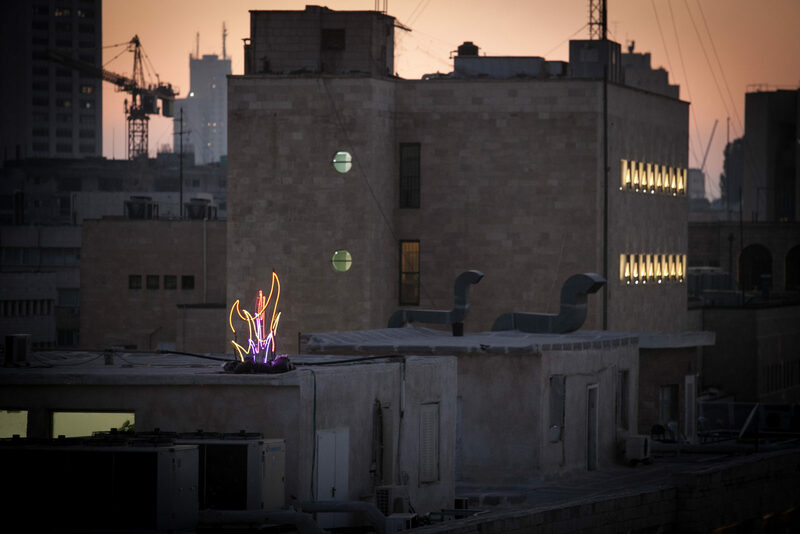 The installation draws inspiration from ancient fire beacons and their historical use for signalling, whether imploring for help, or declaring a victory. 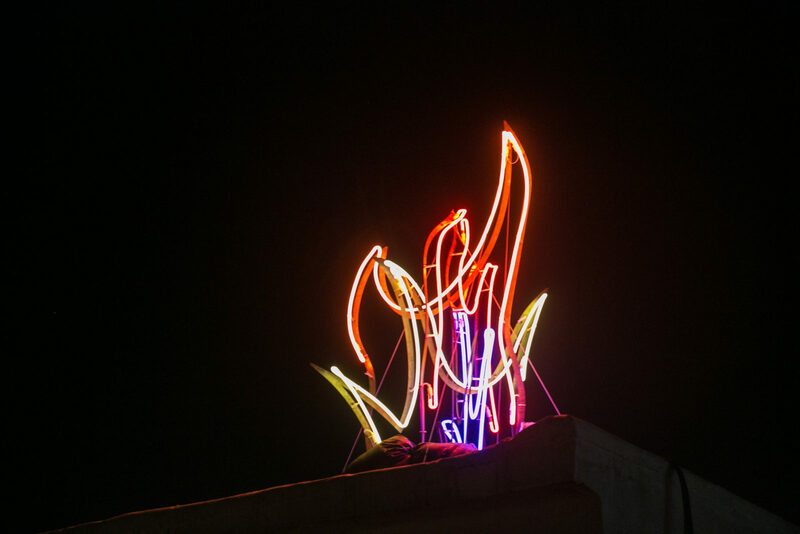 Beacon 2.0 suggests a contemporary interpretation of this old-world way of communication, and looks to capture the chaotic movement of burning fire in digital means.